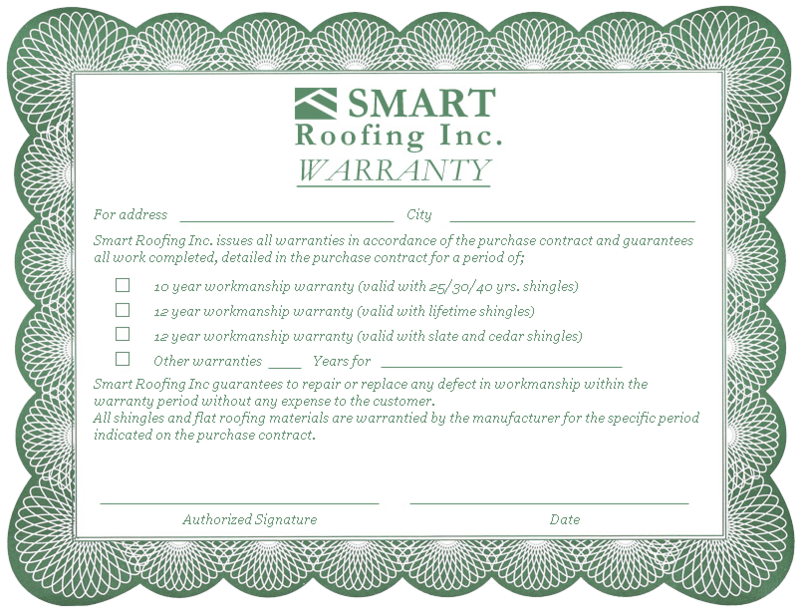 Roofing Warranty in Etobicoke and MississaugaSmart Roofing Inc.
At Smart Roofing Inc., we believe that roof warranties should help to provide ‘peace of mind.’ They should also ‘protect’ and ‘extend’ the life of your roof. When it comes to doing both, no roof warranty goes further than a Smart Roofing Warranty. 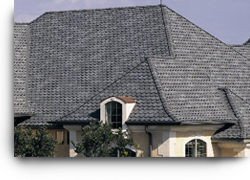 The Smart Roofing Integrity Roof System is a complete system that provides customers with the best in weather protection and a better roof warranty. 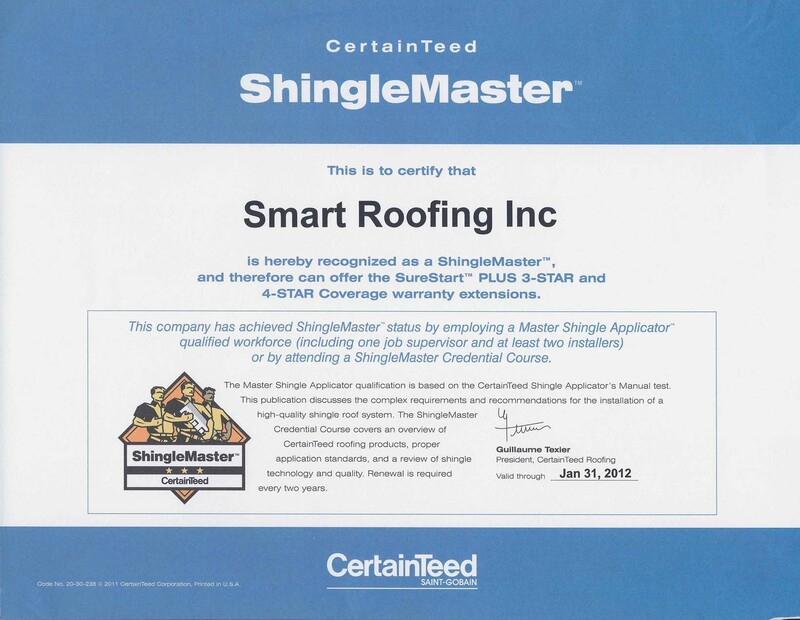 Smart Roofing is recognized as CERTAINTEED ShingleMaster™ (SSM) Applicatior and GAF-Elk Certified Roofing Installer. As such, we can offer our customers ‘extended manufacturer warranties’ including both material and labour. You can read our article to learn more about the different types of roof warranties, or feel free to ask one of our sales consultants to learn more. 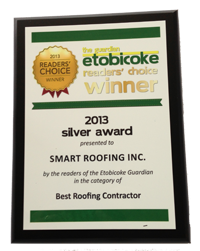 Visit our Mississauga showroom or Contact Smart Roofing to find out more.